Regularly you use a username and a password to log-in. With Two-Factor Authentication you would use a username, a password and a token. The token is a unique number that your cellphone generates and is constanty changing. Because only your cellphone can generate that number and only you own the cellphone, even if someone was able to guess or steal your password if you enable two-factor authentication they wouldn’t be able to hack your account without stealing your cellphone too. 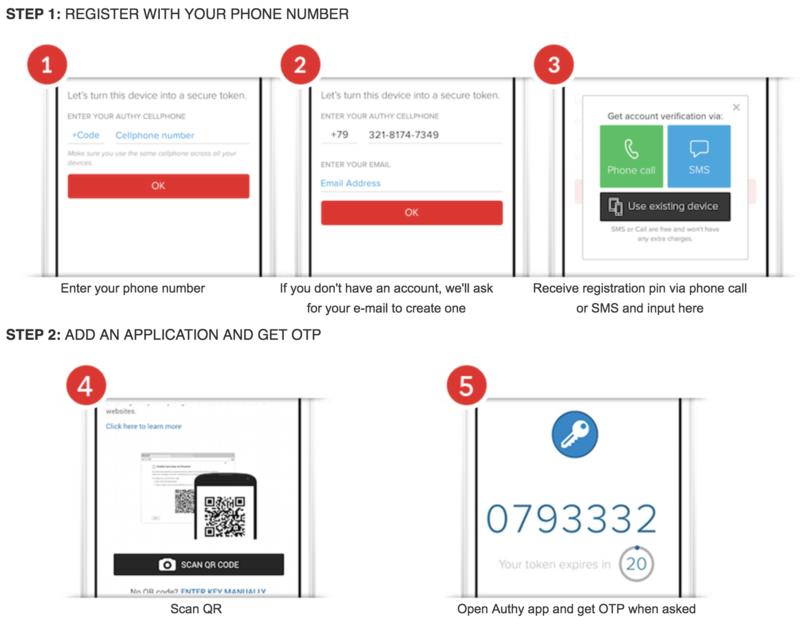 Authy makes it really easy to use Two-Factor Authentication on your online accounts using your smartphone. We provide you an App that makes it easy for you to keep all your tokens and “just” works for a strong authentication. Our goal is to make it easy and straightforward for anyone to use Two-Factor authentication on all of your accounts. Learn more about Authy and how to use it to setup 2FA for your favorite websites at authy.com.